We are lucky to have some fantastic corporate partnerships at Back Up, some of which have been in place for over 10 years. Our partnerships are often built on shared values and we work with companies in a range of different ways, from charity of the year to sponsorship to long term strategic partnerships. For examples of how we have worked with different companies please visit our current partners page. Why not choose Back Up as your next charity of the year? We put everything into our partnerships to ensure that fundraising targets are smashed and even the employees who don’t usually get involved are engaged with the charity. 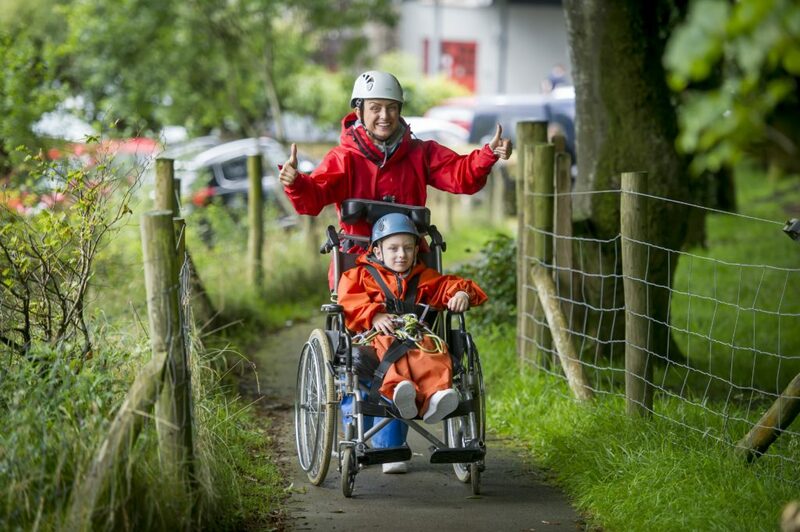 We want all of our charity of the year partners to have an amazing experience of working with Back Up. In 2017, Eversholt Rail and Back Up were nominated for a ‘Better Society Award’ in recognition of the level of staff involvement and fundraising achieved during our 18 months together. 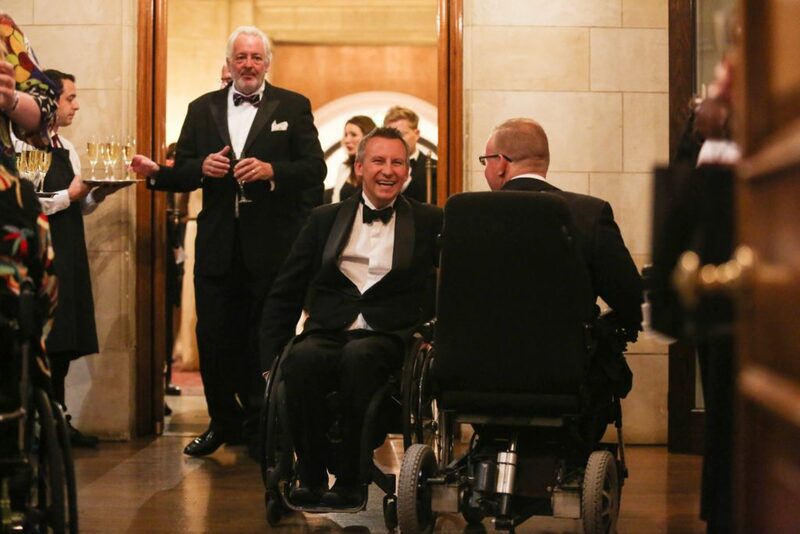 A sponsorship package with Back Up will help your company reach new audiences, especially to people affected by spinal cord injury and health care professionals. We have a range of bespoke sponsorship opportunities linked to our services and events as well as advertising in our bi-annual magazine, on our website and in our e-newsletter. From client entertainment at our Ball, Front Row Fashion Show and City Dinner, to unique, inclusive team building challenges like our Snowdon Push and Dragon Boat Race, we have a varied calendar of events which will be great fun for you and will help raise money for Back Up. We don’t have opportunities to paint classrooms or do the gardening, but we can offer meaningful, volunteer roles on our rehabilitative courses which can be transformative for the individuals involved. You can offer vital support on these courses as a volunteer buddy. Volunteers also help deliver strategic projects, give admin support in our office, help at our events and run mock interviews with our Back Up to Work course attendees. Either as a one off or forming part of a broader partnership, we would love to support your work place with some office fundraising. From bake sales and dress down days to a sponsored 24hrs in a wheelchair challenge, you can be as creative as you like. We will make sure you have everything you need and keep you informed about the difference your fundraising will make to Back Up. Payroll giving is an easy and tax efficient way for employees to give regularly to Back Up. As an employer, you can also get a quality mark for promoting the scheme and achieving different levels of engagement. To find out more about how a partnership with Back Up could benefit your company then please contact Tim or Ollie on 020 8875 1805.